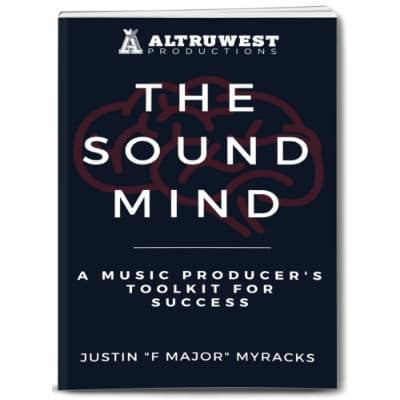 Music from the mind of an “Old Soul” describes the sound of music producer Justin “F Major” Myracks. Born and raised in North Hollywood CA, F Major developed his love for the visual and performing arts at a young age. This love for the arts progressed as F Major immersed himself into the art of Freestyle rapping, where he went by the Wu-Tang Clan influenced moniker, “Focused Master”. As “Focused Master” he began to garner respect as a charismatic yet insightful rapper. His interest in Hip Hop music did not end with rapping. With no formal training or background in music, he taught himself music production, engineering and music theory during his college years. While working as a student assistant engineer at the University of California Irvine, he discovered a true calling as a music producer, where he transformed from “Focused Master” the rapper to “F Major” the music producer. F Major went on to form his production company FM Productions, which would later become Altruwest Productions. With the influence of artists such as Parliament, Funkadelic, James Brown, Wes Montgomery, Herbie Hancock and Earth Wind and Fire, F Major set off to develop a sound that incorporated the musical styling of these influences. While not a classically trained musician, F Major’s sound is heavily reliant on the use of keyboards and synthesizers. It is his natural ability to hear and interpret the Bass which allows F Major to express his musical ideas. Drum programming is another area where F Major’s music stands out, with a combination of natural and off time rhythms. Many listeners will agree that his sound is very much influenced by the Funk and Jazz music of the 1970s with a laid back Hip Hop feel. As a true connoisseur of music, his musical range spans from the socially conscious sounds of artists such as Common and Talib Kweli, all the way to the aggressive street sounds of artists such as 50 Cent and Tha Dogg Pound. Using the internet, F Major was able to collaborate with rapper/producer Octavia Harris (fka Jymini), for whom he produced a track entitled “Drop it Fast”, which appeared on the Anime` series “Street Fury”. Midway through college F Major connected with Yamaha Corporation of America where he became musical consultant for their Pro Audio Division. F Major went on to program musical demos for Yamaha Products such as the Motif Rack ES, Mo6/Mo8 keyboard,and the Motif XS Keyboard for which he also designed a new drum library for. In 2003, F Major later connected with rapper Clinton Wayne and released several albums including, “Tsoul Ghetto” in 2005 and the critically acclaimed album “Regal Muzik” in 2007 for which he produced 15 out of 17 songs. F Major has also produced and engineered songs for artists including: Shade Sheist, Nune, 2nd II None, B-Real of Cypress Hill, Lil Scrappy, 40 Glocc of G Unit, Locksmith, Domino, XL Middleton, Cat Iz, Radio3000, Rashondra Angelle and The Tones. F Major has additionally contributed to music to many televisions networks. 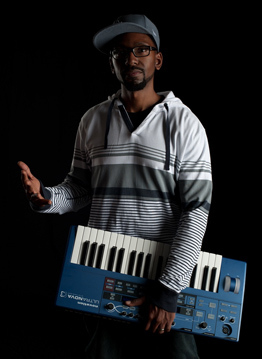 As a composer he has crafted Hip Hop and R&B tracks for music libraries with credits including; NBC (Parks and Recreation), MTV (Teen Cribs, Parental Control, From G’z to Gents, True Life, When I was 17, Rob Dyrdek’s Fantasy Factory), Entertainment (Keeping up with the Kardashians, Fashion Police), Access Hollywood, Oxygen (Bad Girls Club), Good Hair (film). In 2009 F Major began working with Berlin based software instruments giant, Native Instruments. During his tenure with Native Instruments F Major has worked to help develop products such as: George Duke Soul Treasures, Maschine Factory Library, Maschine Expansions (True School, Platinum Bounce, Helios Ray, Lazer Dice, Magnate Hustle), Battery 4 Factory Library, Polyplex, Rounds, Studio Drummer and West Africa. F Major also played a crucial role in the marketing campaigns for Maschine; contributing various tutorials and product demonstration videos as well as heading the Native Instruments Maschine User Group at SAE LA. Additionally drawing from his extensive background with urban music production, he was able to support the product design team as a technical consultant for Maschine hardware and software. Known for his versatility and high level of musicality, F Major continues to push the limits of music and is heavily regarded as one of the most knowledgeable and creative producers of his time.